Ask any skater and they’ll probably have a favorite skate brand. Whether an old classic or a new kid on the block, there are certain brands that just resonate with people. It might be for their amazing logo, the awesome skater who started the company or ride for the team or maybe it’s just because of the great deck, trucks, wheels or clothing that they make. We’ve put together a selection of our 26 favorite brands below. Rodney Mullen teamed up with his longtime friend and fellow tech wizard Daewon Song in 2003 to begin Almost Skateboards. The Almost team originally consisted of Mullen and Song, Ryan Sheckler, Chris Haslam, Cooper Wilt and Greg Lutzka. Later additions would include Torey Pudwill and Lewis Marnell. Almost: Round Three, the company’s first full-length video, is still considered by many to be one of the best skateboarding video ever made. In 1991, while the H-Street company was still at its peak, co-owner Mike Ternasky made the bold decision to leave his business partner, Tony Magnusson, and start a new brand. That brand was Plan B, and it would essentially change the skateboard industry. The first Plan B riders comprised a super team, consisting of luminaries like Rodney Mullen, Danny Way, Mike Carroll, Sal Barbier, Rick Howard, Matt Hensley, Colin McKay and Sean Sheffey. Things changed quickly with Ternasky’s passing in 1994, but the brand played on. Now in its third iteration, Plan B remains a force in skateboarding. Dirty Ghetto Kids is the creation of skate mogul Stevie Williams. It came to be gradually, releasing footage to a hungry public as early as 2004 under distributor Kayo Corp. Its first full-length video “It’s Official” announced DGK as a force in skateboarding. Williams dropped “Parental Advisory” in 2012, “Blood Money” in 2014 and “Saved” in 2017, proving DGK continues to drive skateboarding forward. Originally under the Powell-Peralta umbrella, Bones has been producing some of the finest urethane since the 1980s. Additionally, Bones bearings have long been considered some of the best out there, especially the company’s venerable Swiss bearings. Real’s roots go back to 1991. The company was formed through the friendship of pro skaters Jim Thiebaud and Tommy Guerrero. With riders like Kyle Walker, Dennis Busenitz, Ishod Wair, Peter Ramondetta and Chima Ferguson, Real appears well-equipped to continue to push skateboarding into the future. Dating back to the flourishing of street skateboarding in 1992, Shorty’s built its reputation making truck bolts. Prior to that time, hardware was always long enough to allow for the use of riser pads. Shorty’s stepped in to fill the niche of skateboarders ditching the risers, garnering plenty of attention thanks to ads featuring a model named Rosa. One of the first brands to cater specifically to street skaters, Shorty’s has since branched out into decks and bushings (Doh-Doh’s). Girl came into existence in 1993. It was founded by longtime friends Mike Carroll, Rick Howard, Spike Jonez and Megan Baltimore. From the beginning, Girl has been home to some of the best of the best in pro skating. Beginning with the aforementioned Carroll and Howard, other original team members included Guy Mariano, Sean Sheffey, Jovantae Turner, Rudy Johnson and Tim Gavin. Girl’s “Yeah Right” video upped the ante on production values for skate videos with its release in 2003. Former Santa Cruz ripper Julien Stranger started the Anti-Hero company in 1995. It is purported to have come about because of a staleness in skateboarding at the time. Since then, Anti-Hero has inarguably brought a freshness to skating that had until then been sorely missed. With a list of longtime pros including Tony Trujillo, Stranger, John Cardiel, Tony Miorana, Andy Roy, Frank Gerwar, Brian Anderson and Chris Pfanner, the Anti-Hero crew is still going strong. Another in the line of skater-owned startups, Diamond Supply Co. was begun in 1998 by skateboarder Nick Tershay. It started out as a hardware company, and many still consider Diamond to be a bolts company first. However, the move into clothing soon followed. Now, the clothing line is Diamond’s main source of revenue, though it continues to produce quality hardware. Pro skater Ed Templeton started Toy Machine back in 1993. Since that time, the company has survived the ebbs and flows of the skateboard industry more or less unchanged. The list of pros who have graced the Machine’s roster is long and storied. Names like Jamie Thomas, Elissa Steamer, Brian Anderson, Mike Fazier, The Muska, Diego Bucchieri, Mike Maldonado, Kerry Getz and Caswell Berry graced the team with their presence. More recently, big names such as Josh Harmony, Leo Romero, Collin Provost and Johnny Layton have kept the machine turning. Through it all, the art of Templeton has remained an ever-entertaining constant. Chocolate is a spinoff of Girl skateboards. Unlike many spinoffs, Chocolate did not start after its parent company had years of success. Rather, there were too many rippers who wanted to be a part of Girl and not enough room for everyone. So, after only nine months of Girl’s existence, Chocolate formed. Its first big name was Chico Brenes, but other included Keenan Milton, Paulo Diaz and Ben Sanchez. More recently, it has been a launching point for the careers of Jerry Hsu, Anthony Pappalardo, Gino Ianucci and Marc Johnson. Creature operates under the NHS Fun Factory umbrella, along with sister companies Independent, Mob, Bronson, Santa Cruz and Ricta. Former Santa Cruz team manager Russ Pope started the company in 1994, bringing on riders Darren Navarrette, Barker Barrett and Jason Adams. Creature went on hiatus for about a decade from the 90s to the 2000s, but it has come back with a vengeance in the time since its rebirth. 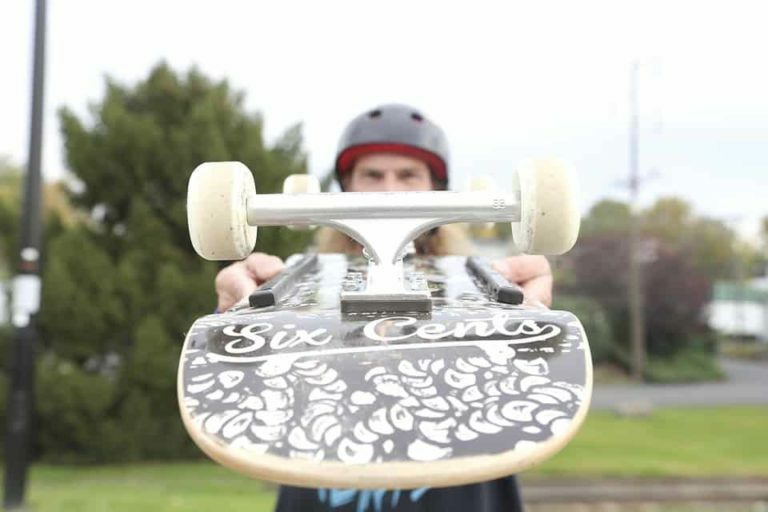 Independent was not the first skateboard truck company. Rather, it was the first company to produce a truck that worked and could survive the abuse that skateboarders dished out on it. The Indy Stage 1 hit the market in 1978. 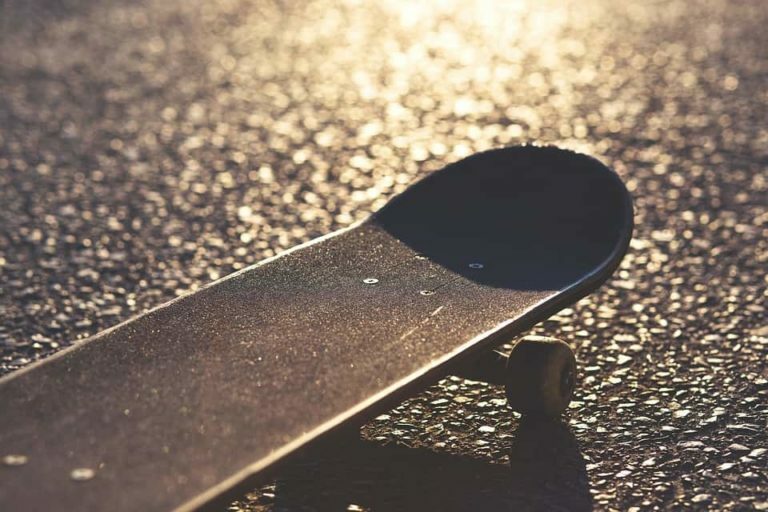 It is one of those few products – along with urethane wheels, precision bearings and griptape – that revolutionized skateboarding in the 1970s. Interestingly, all four of those products remain relatively unchanged today. Deathwish is one of the companies in the Bakerboys lineup, along with Baker and Shake Junt. It was formed in 2008 by Bakerboys OG’s Erik Ellington, Jim Greco and Andrew Reynolds, though only Ellington rides for Deathwish. The Deathwish name is a nod to the revenge film by Charles Bronson. The logo is from Deathwish III. The first skater-owned shoe company, Etnies has enjoyed a reputation for producing tough-as-nails skate shoes from day one. Former Sims freestyle pro Pierre André Sénizergues – known simply as Pierre André on his board graphics – started the company in 1986. Etnies operates under Sénizergues’ Sole Technologies, along with the éS and Emerica brands. All three companies continue to innovate and earn respect among new generations of skateboarders. Personalizing griptape is – well – personal, but Grizzly has been helping skaters own the tops of their boards since 2010. Pro skater Torrey Pudwill had been cutting little bears out of griptape for years before, but the project got going as a brand in the 20-teens. It is distributed under the Diamond Supply Co. chain. Another in the Rick Howard-Mike Carroll line of companies, Lakai started making kicks back in 1999. It is distributed under the Crailtap umbrella of companies, along with the pair’s Girl and Chocolate brands, as well as Royal trucks and Fourstar clothing. Lakai shoes are usually both stylish and tough, with a reputation for longevity and comfort that was uncommon in skate shoes before the brand came into existence. Thanks to the popularity of its flame logo, you could be forgiven for thinking that Spitfire is a clothing or a sticker company. Core skaters know the truth, though. 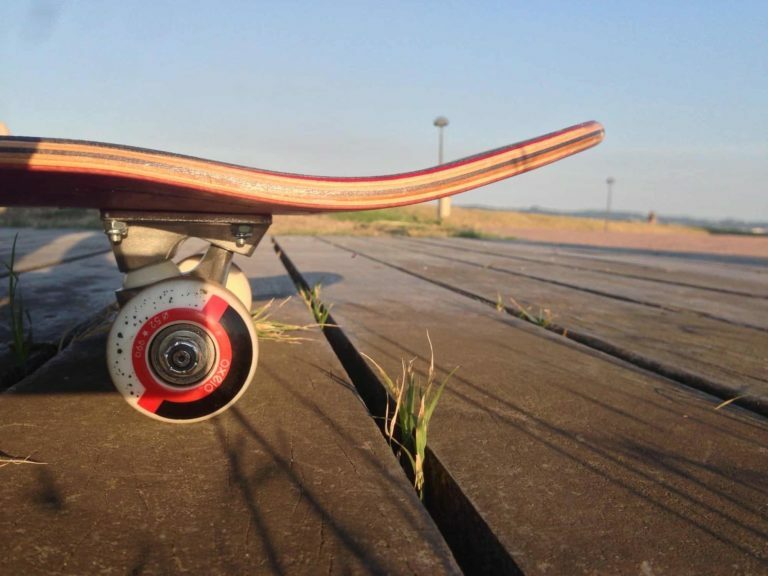 Spitfire wheels are among the best in the business. The company got its start in 1987. Its first (self-titled) video was must-watch skateboarding. It featured luminaries like John Cardiel, Jason Dill, Jonas and Jeremy Wray, Ed Templeton, Ethan Fowler, Jamie Thomas, Julien Stranger, and Andy Roy. Vans shoes were the brainchild of brothers Paul and James Van Doren. The company got its start in 1966 in Anaheim, California. It has changed hands multiple times since then and has been owned and operated by the VF corporation since 2004. Vans has produced some of the most iconic shoes in skateboarding over the years, including the shoes now known as Old Schools and the always-popular Half Cabs. Formed in 2010, Welcome Skateboards has been a huge part of the burgeoning indy board company scene. Its self-professed mission is to have a team of riders that exemplifies the fun in skateboarding, not necessarily the best riders in the world. Its shapes and its team are unique. That commitment to the simplicity of skateboarding has been a breath of fresh air to the industry as a whole. Clothing brands come and go in skateboarding, which makes Volcom’s success story all the more unlikely. Begun in 1991 by friends Richard Woolcott and Tucker Hall, the company has a long history of producing decent threads. It has sponsored – and continues to sponsor – some of skateboarding’s best riders, including Chet Thomas, Omar Hassan, Dustin Dollin, Grant Taylor, Chris Pfanner, Dan Van Der Linden, Caswell Berry and more. 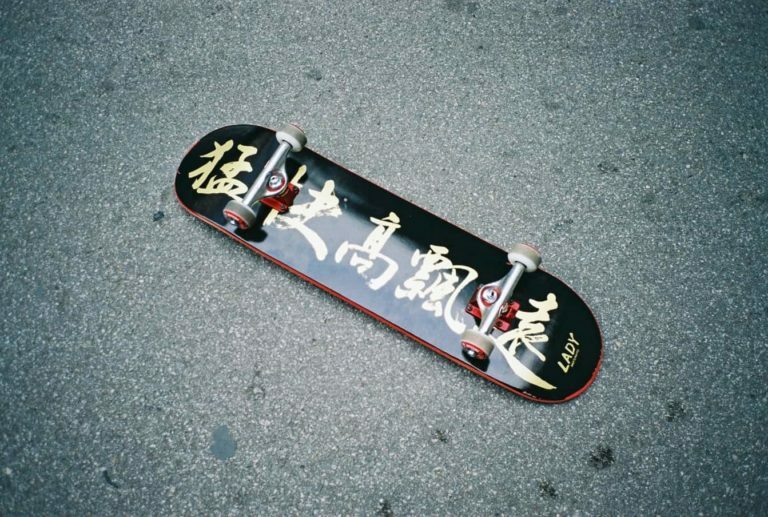 The company has changed hands twice since its founding, showing the strength of the brand that it would survive corporate takeover in the historically anti-establishment sport of skating. Volcom also produces gear for surfers and snowboarders. Skateboarding icon Mark Gonzales formed Krooked in 2002. The brand features the Gonz’s art in its ads and on its boards. It has been the home to some latter-day greats like Dan Drehobl, Mike Anderson, Sebo Walker, Brad Cromer and the late Van Wastell. From the outset, Krooked has pushed skateboarding in new directions and promoted the oddities in what is already an odd endeavor. One of two truck companies under the Deluxe Distribution umbrella, Thunder has been making sweet-grinding and tight-turning trucks since 1986. The company’s hand grenade/heart logo is instantly recognizable, but it is the steering geometry that made Thunders popular. These are trucks that can – and usually, are – be ground down to the axles. Before Jessup started making silicon carbide griptape in 1975, there really was no good way to keep your grip on a skateboard. The go-to method of the day consisted of using adhesive to stick paper-backed sandpaper to the top of a deck. The problems with that solution were many, including the inevitable death by water. Jessup’s answer was a plastic backing that made it impervious to moisture. The result changed skating to such an extent that it has really never been improved upon. Still going strong after all these years, Jessup is the original and arguably still the best. One of the few trucks still cast in the US – at the legendary Ermico foundry in San Francisco – Venture trucks have a storied history in skateboarding. The brand was always popular in skateboarding, but it had its finger on the pulse of skating in the early 90s. At that time street skating was coming to the fore, and street riders were looking for equipment all their own. They had their own needs, which weren’t being addressed by the existing ramp-focused manufacturers. Venture introduced Featherlite trucks to a starving marketplace, though, and everything changed practically overnight. Here was a lithe little truck, low with hollowed out sections on baseplate and hanger. While it may not retain the popularity it enjoyed at that time, Ventures continue to hold a sizeable market share today. Baker Skateboards is the creation of former Birdhouse pro Andrew Reynolds, along with then partner Jay Strickland, who left the collaboration early on to pursue another brand. Reynolds launched Baker in 1999, and it was an instant hit. Baker has been the board sponsor of an eclectic crew of skaters, including Terry Kennedy, Riley Hawk, Dustin Dollin, Elissa Steamer, Don Nguyen, Justin Figueroa, Leo Romero, Jim Greco, Mike Maldonado and many others. Reynolds, Greco and Erik Ellington currently run Bakerboys Distribution, which also distributes Birdhouse, Deathwish, Shake Junt and other popular brands.